We had a lot of fun in our hours together in the Labor and Delivery Suite at Virginia Mason Hospital, Seattle, from 1983 until 1989, when I left to take my practice to the University. “We” would be the nurses, midwives, support staff, and doctors from the hospital and two community health center practice groups. There’s a lot of talk these days about teams, as if it is a new concept. It’s a great concept; it’s not new, and algorithms,mnemonics, and organizational protocols telling us to communicate or how to communicate do not make the concept come alive. Relationships are the bricks and the mortar comes from commitment to our patients and to the relationships within the team. This spring a new patient appeared on my schedule. I recognized the name and I recognized her: big eyes, easy laugh, and organized notebook with items for us to discuss as catch up­—items she felt I would need to know if I was to become her primary care doc (PCP) and we were again to be a team. It had been 25 years since we had worked together as nurse and doctor in Labor and Delivery (L&D is what we call it), yet it could have been yesterday. …Only this time we would not be working together with a laboring and birthing woman and her family. It was to hopefully keep her healthy, now in remission after chemotherapy for lymphoma. Her cancer care was in our institution and she and they felt a PCP in our system would add to her team that included her husband, daughter, oncologists and nurses; they hoped my joining the team might make her care coordination easier. That is what teams do if they work: they breed strong ties and create a choreography that could translate to different settings even though we don’t make those translations often. In this case, we settled in, started to work on some of her non-cancer concerns, caught up on her life and hoped for the best. I found out she had left L&D nursing and was a respected nursing educator in a local program. She and her husband had one daughter and she shared how proud they were of her. She told me how, as their daughter grew, they took frequent outings to various parts of the state and usually could be found in the summer crabbing in Puget Sound from their boat. I remember their wedding and could picture the next installments as she relayed the details. Did I go to the wedding? Or were her descriptions so vivid I feel in my memories like I was there? That is the thing about teams. We all own part of the other’s story with a connection that weaves in and out and in an out. During these conversations I could easily transport myself back to L&D, day or night, someone in labor, sitting around with whoever was there– nurses, the midwives from the hospital midwifery group, maybe one of the family med docs from the other community health center group, maybe the obstetrician on call. If one of us needed help, there were always hands to help. If a woman came in and her on call person was not there, we would help. If my patient came in and I was not there yet, others would help. What I remember about Linda, the name of my colleague now patient, is her voice. She could tell one of us exactly what she thought and what she thought we should do about it, always with this cadenced softness that did not hide the direct and clear opinion. She could (and would) manage a complex patient in the midst of chaos with the calm of a neurosurgeon and she could coach a reluctant woman when to breathe and how to push when I needed to take a take a deep breath break myself. And laugh…oh I can hear her laughter. She could laugh at herself and funny things she would share. Laugh a lot and laugh loudly, easily tickled by life and our work, easily finding what was important, never disrespectful, just keenly insightful to the meaning, the amusement and the delight—all of it. Teams…they do create memories. I don’t remember a mnemonic. I do remember the people who touch me and allow me into their lives. Though I am not sure, as I remember the flurry of the nursery filled with the L&D and pediatric nurses and my absolute excitement and disbelief at the show of support, to say nothing of the import of the moment, I believe Linda was right there when my son was legally handed to me at our hospital and again at the shower the nurses had for my son and me a couple of weeks later. I know she celebrated my becoming a parent, and we all shared her meeting her Larry and her wedding a short while later. And then we lost touch. This spring of remission was short. Her lymphoma was found again, not even hiding very far from her oncologist’s detection. Her remission had not been real. She had more chemo and prepared for stem cell transplant. During that time our biggest conversations were about how to get ready, would she have to live closer to the hospital during this treatment. And she began to accept these realities and in her usual very organized way, she set about making all the arrangements. Just a couple of weeks ago, with her port in place for the transplant, she was admitted with a fever. We hoped it was an infection, maybe the line that had been placed. Her doctors tried to hope and did cultures and started antibiotics. Within a couple of days, it was clear. No infection. Her cancer was running wild. Her oncologist gave her the news and we expedited her return home with her daughter and husband and Hospice, her new team member. Her bucket list got much shorter. She had a couple of good days and her family was at her side pretty much the whole time. Before her discharge she told me she worried about the strain on her husband and daughter and I told her they were strong and would be fine. She said, “but I have things to do.” I asked her where she would tell me to put my energy if I knew I was going to die the next day. She laughed. Oh how I loved her musical laugh. She said, “You give me perspective. And also, I really want my daughter to go on her trip.” I said, “That is not your choice.” She laughed. We both knew she would have said the same to me. I thought she would live a week or three. And I hoped to visit her and maybe have the courage to say a proper good bye and to thank her for the days and nights we passed together in L&D and for trusting me with her care at this momentous time. She died quietly, 5 days after going home, with her family at her side. When there is a good team, maybe there is no good way and no need to say goodbye. This entry was posted in being human, family, health care, internal voice, loss, relationship centered care, relationships and tagged family, grief and loss, humanity, moments, relationship centered care, relationships on July 26, 2014 by sdobie. In the past I wrote about Hedgebrook. (radical hospitality) And I shared about the women who were there when I was. women writers And their cook book (here) is amazing, reminding me of the weight I gained during my residency in 2012. Well now it is time for YOU to apply for a residency. Check it out here! If granted, it is like nothing you will have ever had given to you. One constellation of six who were there when I was are pictured below, representing several nations, multiple genres, and huge heart. Also, throughout the year, they have master’s classes as well. 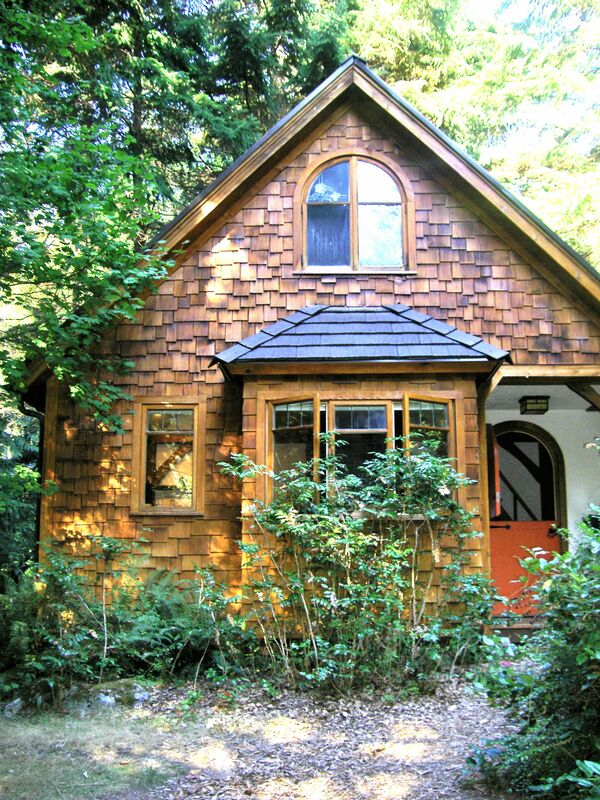 For a weekend or longer, you will have your own little cottage, 5 other writers, solitude, amazing surroundings, and a master teacher. An 2011 article in the Guardian showed that in Britain and the US, male authors are reviewed 3 times more often than women. And guess what? Who do you think the reviewers are? Yes, similar proportions for reviewers: men: women 3:1. VIDA does an annual evaluation. In 2013 the NY Times and The Paris Review made big progress, but check out the tables. We still have a long way to go to have women’s voices heard in print. (VIDA) Hedgebrook supports women writers. In particular it wants to support women authoring change. My three weeks there in 2012 were life altering thanks to the vision of the place, the belief in the work I was/am doing, the amazing nurturing of the staff and the place, the women who were there with me, and the space to be there. Please do check it out: Go there for a master’s class. Apply for a residency. Support them. Go to their events. Josephine Ensign wrote about Elizabeth Austen, her poetry and the event where she read. (see blogs I follow) Elizabeth is the Washington State Poet in Residence, truly gifted and a Hedgebrook Alum. Check out her blog and her work here. Go to one of her events. Support women authors! Our voices matter. In the farmhouse at Hedgebrook, where we gather for dinner with our amazing chefs, there is a living room with floor to ceiling and wall to wall (except for the fireplace) bookshelves, all full. Every book in the shelves is by or includes a Hedgebrook alum. Let us work together to publish so much that we must support Hedgebrook building a new building or modifying some of their other buildings to house all the works of the women who pass through there. This entry was posted in being human, civil rights, history, relationships, visual moments and tagged civil rights, humanity, inclusivity, relationships, social justice on July 10, 2014 by sdobie.